Picture yourself as a tourist visiting the Collosi of Memnon (above) near the city of Luxor in Egypt. The two statues of Pharaoh Amenhotep III tower above you, but lacking their original glory. Wind and sand have weathered the monuments for centuries, and other visitors have carved graffiti into the pedestals and chipped away pieces as souvenirs. Channeling Shelley, you ponder how the creators of these behemoths – an ancient, glorious civilization – could have fallen away so dramatically. But they are long gone and you now live in the greatest global world ever to have existed. Having seen enough, you part ways with the statues and being your trek back home to Classical Rome to catch the big gladiator fight at the Colosseum. Yes, you could have been looking at the ruins of an ancient civilization as a citizen of the Roman Empire. It’s sort of mind-boggling sometime to think about human civilization’s age and the various iterations we’ve already been through. I know I tend to think that the world we live in today is some linear culmination of thinkers, tinkerers, explorers, poets and leaders who have slowly built us to this time. But it’s obviously not that clean and straight-forward. As The Guardian argued recently, “there’s no such thing as Western Civilization.” That is, our conception of “the west” as shorthand for everything good, just and advanced about the world just doesn’t hold water. While Europe was wandering around in the Dark Ages, librarians in the Middle East served as the curators of Greek though and Andalusian thinkers developed advanced mathematics. We as “the west” lay claim to many ideas and advances that aren’t really ours. We’re also not especially sophisticated or original when it comes to trade, international relations and globalization, either. David Cline makes this point in his book “1177 B.C. 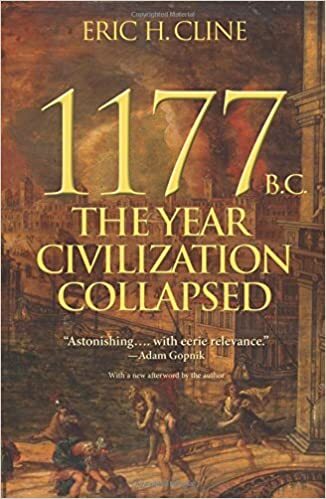 : The Year Civilization Collapsed.” This book describes the known Bronze-Age world of 3,000 years ago, and it bears many similarities to the world we know today. In the Eastern Mediterranean, the Egyptians, Hittites, Assyrians, Minoans, Mycenaeans and others built and occupied great empires that we now know were intricately intertwined. Heads of state kept in frequent contact, merchants traded freely among well-established routes, and all corners of the world benefited from sharing ideas, goods and labor. Then, right around the 12th century B.C., all of these civilizations declined at once. What happened? The prevailing theory has suggested mysterious groups of “Sea Peoples” arrived from somewhere west or north and disrupted this world. That’s true as matter of archaeological record. However, Cline argues that these groups, even if there were a lot of them, likely wouldn’t have been enough to topple so many complex and prosperous civilizations. Cline suggests that the complexity of this world contained in itself the vulnerabilities that led to its destruction. A host of ailments all arriving at the same time – earthquakes, a changing climate and drought, scarcity and breakdown of trade routes, internal stagnation and popular revolt, and the invading Sea Peoples – all contributed to this collapse. The Sea Peoples may have only been a final nail in the coffin. In many ways, Cline expands the arguments made by Jared Diamond in his book “Collapse.” In that work, Diamond looks at a number of civilizations from across the globe, some ancient and some quite modern. Each tends to make the same Malthusian deal with the devil – become successful so fast that society gets too complex and reliant on unsustainable practices that collapse becomes inevitable. Cline brings a half-dozen civilizations together in one narrative, showing how no empire exists in a bubble and must deal with the world at large. If anything, these civilizations cooperated to gain such success and insulated themselves from immediate demise through their inter-connectivity. It took multiple disasters to drag the system down. The populist backlash against globalization in our current politics, while ostensibly attractive to the economically suppressed, loses the long game. 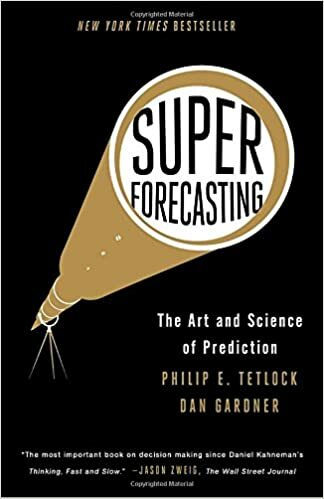 Our technology is advancing so quickly, and our world is so intertwined, that we naturally will slouch toward a globalized economic and political world (no matter what politicians on either side say). Not to say that history is deterministic, but it’s unlikely we’ll put technology back in Pandora’s box. If even the Egyptians, Assyrians and Ancient Greeks realized this, we must, too. We should now turn our attention to preparing our people and social institutions for this new world. Our modern “sea peoples” will always terrorize us, and sometimes they might even succeed in small ways. But they have no capability to destroy us on their own. They need us to self-inflict wounds through reactionary policy, disregard for our environment, internal conflict and abandonment of our values. Our environment will eat us. Some things like earthquakes we can’t control. But we know we’re irreversibly damaging the natural world in which we live. In fact, we’ve likely passed a threshold of no return. We need to prepare today for what our world looks like in 50 or 100 years. We’re not doomed. No, really. No matter who is in power or what mistakes we’ve made until now, humans are still around – even 3,000 years after the sea peoples. We’re just the latest in a long line of civilizations and peoples who have managed to make it this far. Today, of course, we have the capability to blow ourselves to smithereens, but cooler heads have prevailed. Let’s not pretend today’s slate of world leaders have been history’s only hotheads. Empires come and go. However, we know more about history today that we ever have before. We know what we need to do to prevent disaster and thrive in this world. We have to choose survival, though. Complacency in the face of threats internal, external and environmental are not enough. Those who adapt live on. So the question presents itself: what will we choose to do? Will we choose to confront our challenges? Or will we suffice in our lavish prosperity, leaving future people to gaze at our golden, crumbling towers and wonder where we went so wrong? This entry was posted in Books, History and tagged 1177 B.C., archaeology, assyria, bronze age, civilization, climate change, collapse, colossi or memnon, egypt, environment, globalization, history, hittite, middle east, rome, sea peoples, western civilization. Bookmark the permalink.